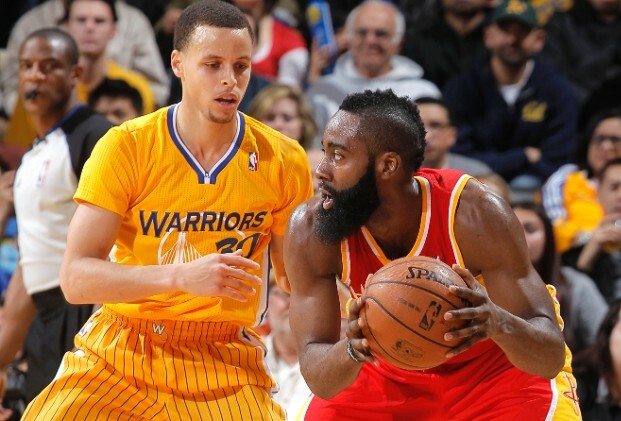 Stephen Curry guards James Harden in a previous game. Curry and the Warriors’ defensive philosophy is a great example for teams, including ours at Bard. About 0:45 into the postgame interview Stephen Curry gave following last night’s Game 1 victory over the Rockets (linked above), Doris Burke asks the MVP about the Rockets’ resiliency and James Harden in particular. That was Curry’s answer. Brilliant. Honest. On point. The hashtag #FactsOnly may have to be retired after how perfectly it fits this Curry interview. The Warriors defensive excellence (#1 on John Hollinger’s Defensive Efficiency for 2014-15) has a lot to do with Andrew Bogut protecting the rim, a devotion to switching and the growth of Draymond Green, but it seems to me, after listening to Curry, that the biggest factor is the Warriors’ mindset. 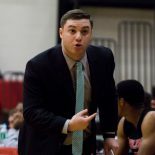 We spend a ton of time sitting around the office at Bard discussing zones of efficiency, shot selection, what shots we are okay with opponents taking and what shots we do not want our players taking. Our players constantly get frustrated when they play excellent defense for 33 seconds of the shot clock and in the waning ticks, a super talented player hits a step-back, long two-pointer in their face. Coach Turner has a great reaction to that. He claps and shrugs. We did our job. They hit a tough shot. Curry’s point, and what we emphasize to our players, is that THOSE SHOTS DO NOT BEAT YOU. There are a million ways to lapse defensively and lose a game. Having a talented player hit ridiculous-degree-of-difficulty long twos is not one of them. Numbers even out. Those shots are just too inefficient to win with. We will let you have them and so will Curry and the Warriors. I’ll be curious to see just how difficult Harden’s shots were, how contested each one was and what percentage of those he made. But my hunch is that just like Curry suggested: over the course of the series it will be advantage Warriors. UPDATE: Did James Harden take quality shots in Game 1? This entry was posted on May 20, 2015 by Coach Sass in Coaching, NBA.